The Skylines of Texas is a refreshingly vivid yet in-depth documentary that ties together Texas' geological history and topographical diversity, its incredible economic dominance and subsequent population growth, and, in moments of classic planetarium fashion, focuses on the way we study the stars from some of the most remote areas within the state, and what we're learning about our universe as a result. 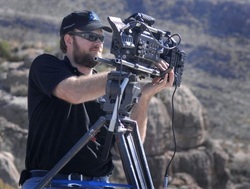 The Skylines of Texas is produced by Under The Tower Productions, and will be directed by seasoned filmmaker and documentary producer Logan Gilpin. Filming is set to wrap in Spring 2017, and the film is set for release in the Summer of 2017. The film will not only feature a unique outlook of Texas, but will also be played in a unique, immersive experience, playing primarily in 360 degree dome theaters, such as planetariums. The film will also be converted for standard screen viewing. The Lone Star State is known for its size - something that any Texan is proud to brag about. But folklore and old black & white movies would have us think that the whole state is a barren desert, covered with cactus and tumbleweeds. Certainly there's plenty of that, but within its tremendous borders, Texas plays host to a variety of landscapes. Six mountain ranges, 60 million acres of forestland, and plenty of white, sandy beaches covering the longest undeveloped barrier island in the world. Oh, and yes, there is desert - about 14 million acres of it. But, considering that Texas is over 172 million acres in size, there's room for plenty more. The Skylines of Texas, using the latest HD technology, will brilliantly display all that Texas has to offer. And you'll experience it all in a 360 degree, immersive view. Since 2000, over four million people have moved to Texas, and the rate of growth is only increasing. There are now 18 million people in Texas. It's no mystery why people are flocking South. Texas' economy is one of the largest and most rapidly growing in the nation. Aeronautics, Agriculture, Defense, Healthcare, Energy, Entertainment, and Technology are all leading industries within the state. This has led to massive growth in cities and infrastructure. 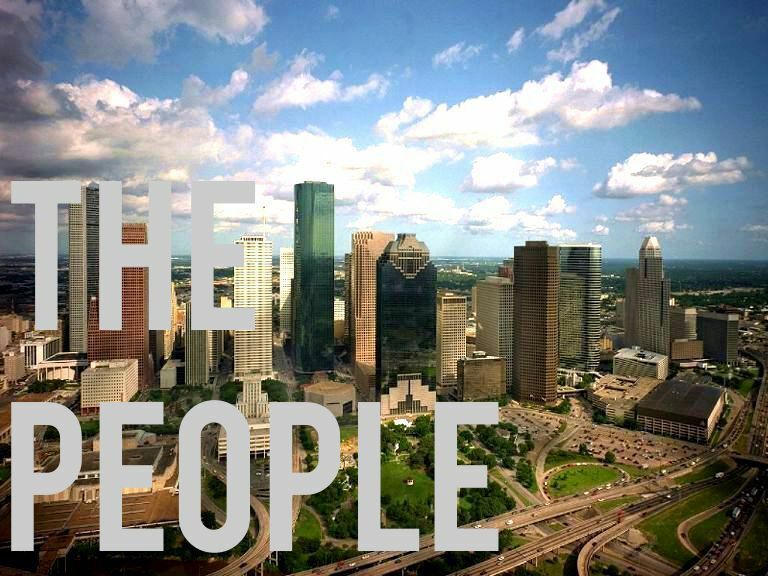 Three of the ten largest cities in the United States largest are in Texas. But at 268,000 square miles, there's plenty of room for everyone. The Skylines of Texas will explore this growth, and show how Texas' abundance of natural resources have helped it to become an economic power house. Texas is home to some of the largest cities in the U.S., but there are also plenty of isolated spots that are ideal for astronomers to perch and gaze at the galaxies. The University of Texas at Austin is one of the principal investigators for the HETDEX project, an initiative to study and understand Dark Energy. Says Professor Karl Gebhardt: "What I always like to say is that dark energy is only a phrase. It may not be dark, and it may not be energy. Whatever the answer is, it’s going to be a fundamental change in our understanding of the basic properties of the universe." 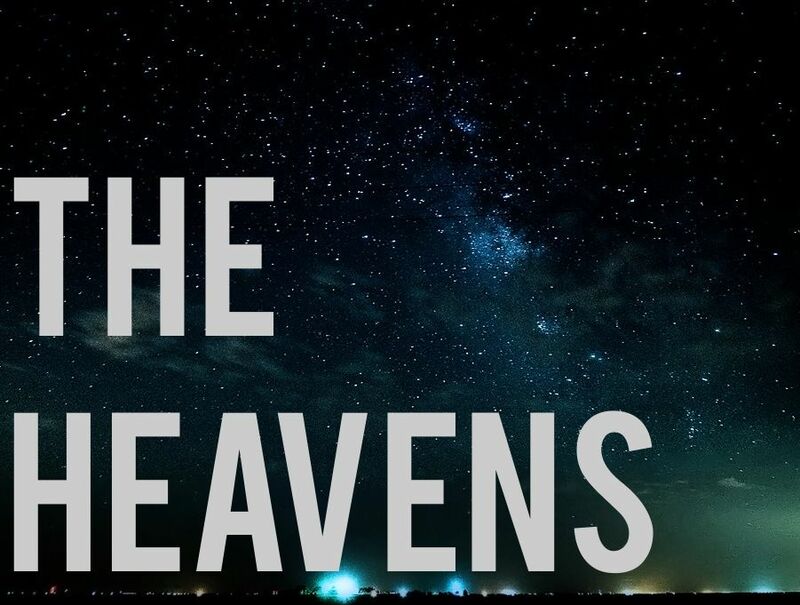 Skylines will delve into this fascinating subject, and provide viewers a stunning 360 degree look at the skies over Texas, in the most ideal venue for exploring our universe. Got a great photo of a Texas skyline that you snapped in a moment of inspiration? A sunrise, sunset, or mountain view? We hope you'll share it with us. 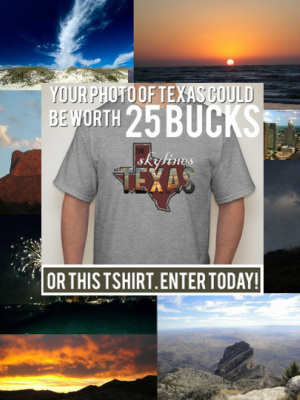 Over on the Skylines of Texas Facebook page, we're hosting a photo contest. 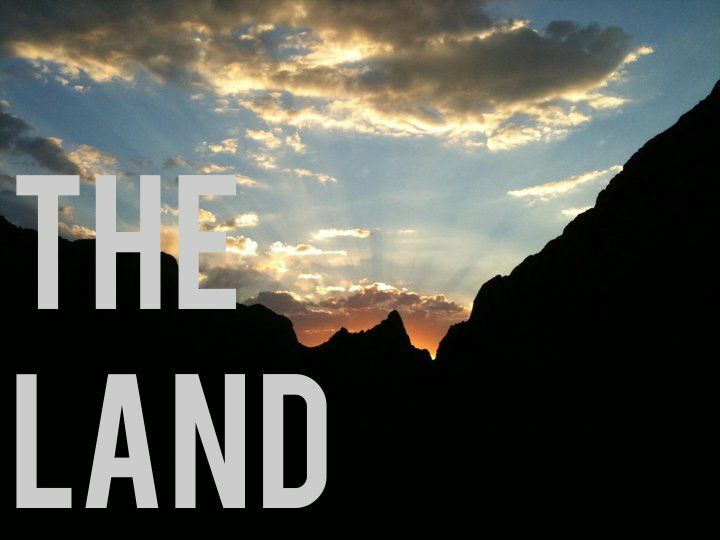 Like Skylines on Facebook and then submit your favorite photo of a Texas horizon. We'll review all entries and award the best photographer with a $25 Amazon Gift Card, plus a Ltd Edition Skylines of Texas logo T-shirt. 2nd and 3rd place also get the Tshirt, and the top 25 entries will be shared on our Facebook page, and displayed here on the website as well. This is the first of several exciting fan contests to come. In the near future we'll be offering a lot of different ways for fans to get Skylines gear and other perks, So, make sure to Like us on Facebook to receive our updates! I've been approached more than once with the question: "Why full dome?" My answer is that there's no better way to give viewers a sense that they are immersed in the on screen environment. In other words: it's the next best thing to taking you there. Texas is huge, stunningly beautiful and diverse; it's quite a subject to tackle as a film maker. I wanted to make a grand gesture to communicate its magnificence. Also, full dome theater growth is robust; virtually all new planetariums are outselling optical projectors by a factor of ten to one. Today nearly every major city in the U.S., home to about half of existing venues, has a full dome theater; the rest are located in forty countries around the world, from Canada to Brazil; from India to Malaysia. Sixty or more permanent theaters are added globally each year; around 600 were in operation in 2010. There's plenty of opportunity for distribution - dome is certainly not the limiting medium that it might once have been. In addition to conveying Texas' beauty, it's also my intent to promote education with this film. Most of the larger dome venues (the biggest licensors of content) are located in museums and science centers, with schools, colleges and universities accounting for the bulk of the smaller facilities. Aside from education, we are starting to see the medium expand into other areas: commercial uses of full dome technology in special venue entertainment, art installation, trade shows and elsewhere. So there you have it - my primary reasoning for filming Texas in a dome format. Skylines will engage, educate and entertain, all while giving the viewer a profound sense of intimacy with the on screen environment.